First of all, thank you so much for your friendship and support of the launch of Lifeness: Harmonize an Entrepreneurial Life. I am so grateful to have you in my life, whether you participate in this launch or not. If you feel the book would benefit your tribe, I would be honored if you chose to help me spread the word. Once you confirm, I’ll send you a copy of the book via IngramSpark. If not, or if you simply choose to take a pass, please do so with the full understanding that I am totally cool with either. Friendship does not include the obligation to go to every concert, play, poetry reading, book launch, or protest march you are invited to. The official book launch is Tuesday, April 4th. I anticipate the launch will be quite significant but I won’t be able to pull it off without your help. On April 4th at LifenessBook.com you’ll see I’m offering the opportunity to purchase the book on Amazon and receive the ebook and the Loyal Soldier video for FREE, and the Lifeness Journal FREE plus shipping. Support our Thunderclap campaign ASAP! Simply CLICK HERE, then click the big red “support on Twitter/Facebook” buttons. Your social accounts will connect and on April 4th a pre-made post will be published on your Twitter/Facebook page. If you are willing to take a photo of yourself with the book when it arrives, that would be pure awesomeness! Please be sure to tag me on Twitter (@Accountable731) and/or Facebook (@TomRubens) when you do. A review on the official Amazon.com book page would be so appreciated! CLICK HERE to go to the review page (then scroll down to the “Customer Reviews” section in the middle of the page). Between now and April 4th, I’d love to have as many reviews posted as possible. Subject Option #1: Balance is bull$#!+. Subject Option #2: Is your entrepreneurial life in harmony? Subject Option #3: You’ve got to meet your loyal soldier! Subject Option #4: Wow. This book is IT! Subject Option #5: A new book you’ll LOVE! Subject Option #6: An amazing new book recommendation for you! Subject Option #7: The answer you may be looking for…. Subject Option #8: Commit to Lifeness. Subject Option #9: This book? LIFE(NESS). CHANGER. I’d be shocked if you’ve never asked yourself this question. Why? Because chances are the path you’re on isn’t exactly the one you’d set out to find. Maybe you’ve veered off-course, and the life you’re living only faintly resembles the one you want to live. Maybe the freedom you sought when you started a business and followed your creative passion has disappeared. I totally get it. It happens. And that’s ok. It’s normal. But that doesn’t mean you have to continue down that path. There’s a new book out, and I’m telling you … it’s a GAME CHANGER. It’s called Lifeness: Harmonize an Entrepreneurial Life, and it’s hands down one of the most inspirational, insightful and useful guides for entrepreneurs that I’ve come across. Ever. I don’t formally recommend books often, but this one is so unique that I’m praising it all over the place. I even feel confident enough to say that this book is guaranteed to open your eyes to your own truth. If you want to live a life without regret, if you want to lead more effectively, if you’re realizing that the concept of work-life balance is crap (sorry, but it is!) … grab a copy and start flipping those pages. You’ll get some cool free bonuses, too! 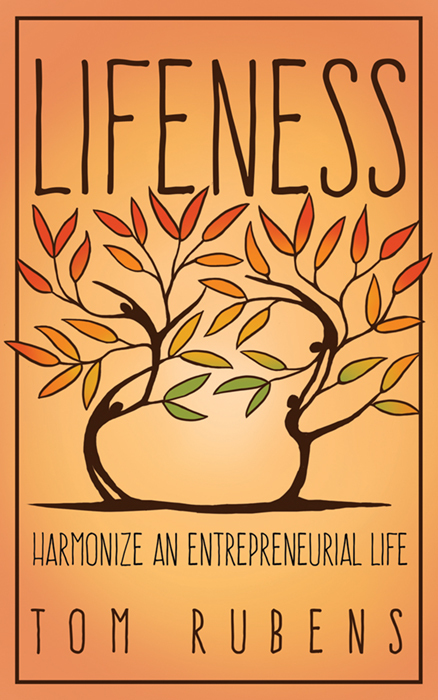 I’m guessing you want a harmonized life as much as I do, so I’m checking in to see if you pre-ordered your copy of Lifeness: Harmonize an Entrepreneurial Life. So many of us are stuck in this state of conflict where we’re desperately trying to balance our lives. Career, personal, relationships, etc. 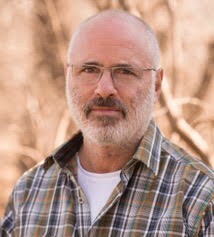 Author (and friend) Tom Rubens has taught me that “balance” is a complete waste of time. It’s a glorified juggling act. So if you’re like me, and you’re wondering how your entrepreneurial path became muddied on your way to financial success, this is a MUST READ. You’ll finally be able to stop juggling and build a bridge to a harmonious life. Please feel free to use the sample twitter and facebook content below when you help me promote the launch on Tuesday, April 4th. Of course, these are just samples and I encourage you to edit them as you see fit. You are encouraged to add these posts on your personal and business pages once, or multiple times, on the day of the campaign. Thank you in advance for your help! Here’s a copy of the book in case you’d like to add the image to your email(s) and social media posts throughout the campaign day on Tuesday, April 4th. Of course, let me know if you require any assistance from my team or have any questions. You can email my project manager Amber Ludwig-Vilhauer direct at amber@ambervilhauer.com. We are here to support you both before, during and after the launch. I want to thank you again for your help in making this book launch a huge success!